You know what people in Seattle love? 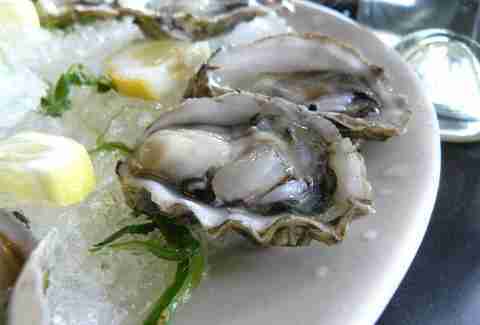 Oysters and happy hour. You know what people in Seattle REALLY love? Both of those things at the same time. 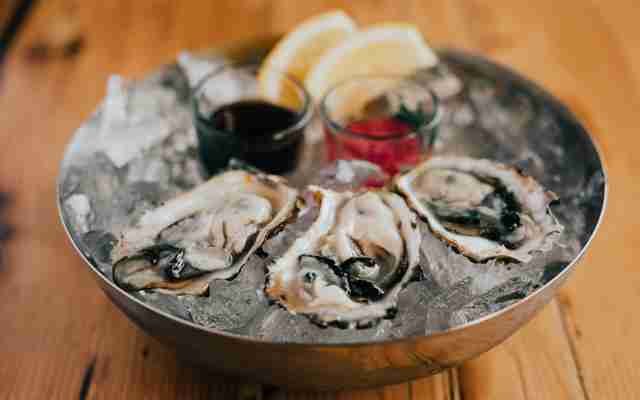 So we trolled through The Town’s considerable bivalve-based deals to find you the best of the best oyster happy hours around. This celebrated Mediterranean spot from local super-chef Ethan Stowell normally slings a seafood-/pasta-heavy menu highlighted by things like some of Seattle’s best crudos, but Sunday through Thursday from 5-6pm -- and again from 10pm to close -- it hosts an Oyster Power Hour, which features oysters of the day for $1.50 each, and differs from the power hour you did on your 21st birthday in that you’ll actually remember what you’re shooting this time. 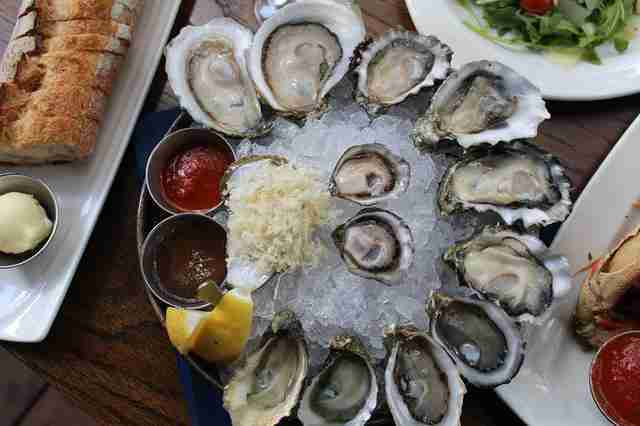 Seattle’s quintessential waterfront eatery may be a bit touristy, but it boasts a very progressive happy hour from 3-6pm on weekdays: oysters are $1.50 the first hour, $2 the second, and $2.50 each during the last hour. There’s also stuff like fish tacos and oyster stew for just three bucks. This ambitious contemporary eatery has a two-and-a-half-hour happy hour every day starting at 4pm (only available in the bar/lounge on Friday and Saturday) that includes signature cocktails for $8, food like wood oven-roasted Manila clams, and… surprise!... 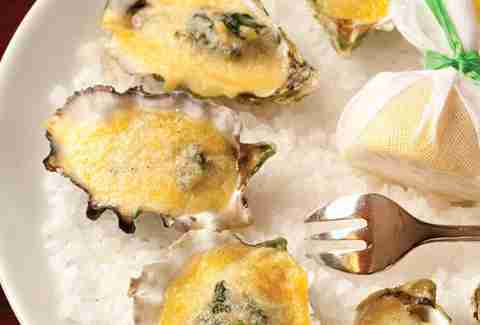 oysters on the half shell w/ the chef’s accompaniments for $1.50. 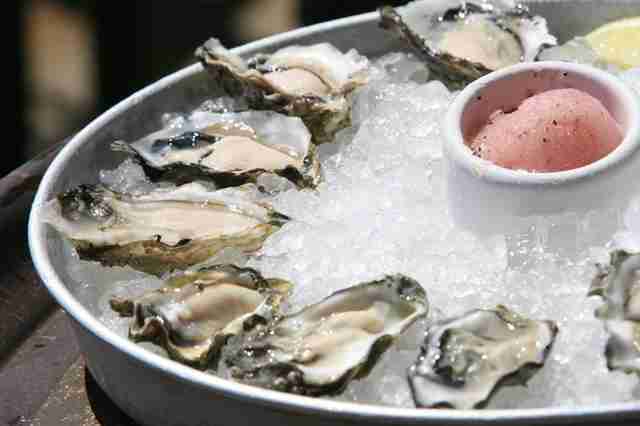 In addition to snacks like spicy popcorn shrimp and salmon sliders, this seafood joint inside one of Seattle’s swankiest hotels offers up three to five of its eight oyster varieties weekdays from 3-5pm for $1.50 each. Each one of these three Seattle spots boasts slightly different menus/happy hour options: at the newest one you’re in for an excellent Bloody Mary, spicy house-pickled garnishes, and $1.50 Shigoku oysters from Willapa Bay Monday through Friday from 4-6pm. 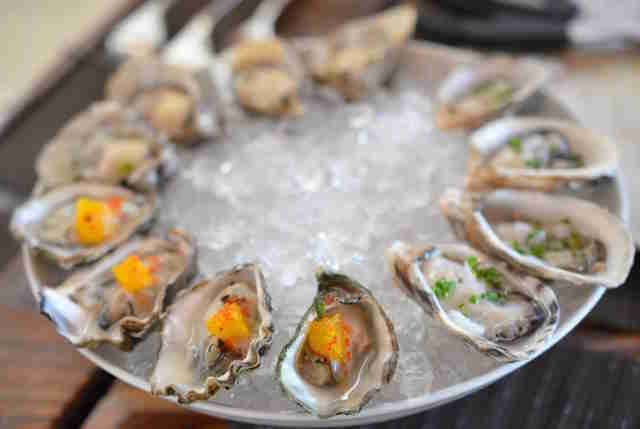 One of Seattle’s most lauded restaurants (from one of its most-lauded chefs), the Walrus doesn’t mess around when it comes to happy hour, it just knocks $1 off all its oysters -- and it's got a lot -- for an hour starting at 4pm, Monday through Thursday. 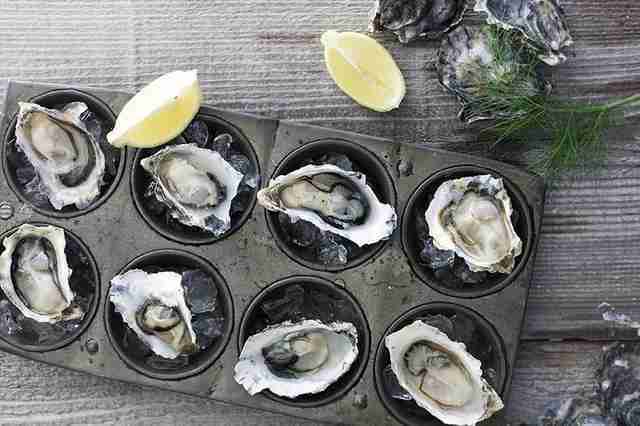 Every day at both the Seattle and Bellevue locations, this Vietnamese-inspired eatery offers up raw oysters on the half shell for $1.50 from 3-5:30pm, along with things like steamed dumplings, marinated pork belly, and more. 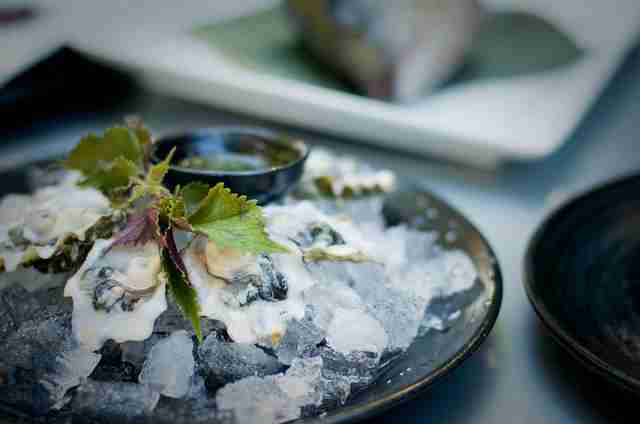 So, it’s not technically a happy hour, but it should make you very happy to know that in addition to its outstanding soba, on Tuesdays, M45 offers oysters for $1 all night. 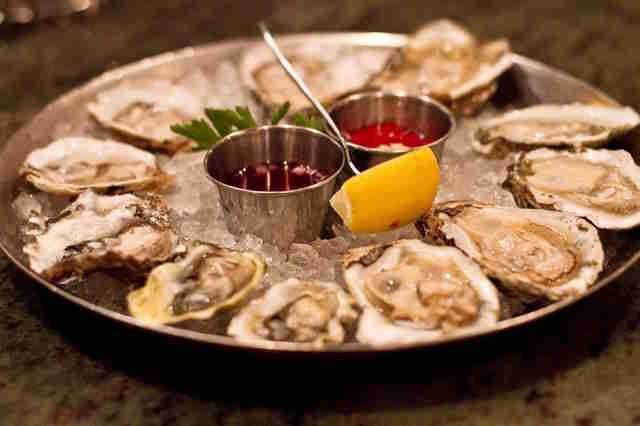 Not only is it a stop on, like, the best public transportation-based bar crawl ever, but FF is also the place to go for daily $1 oyster deals from 3-6pm and 8:30pm-close. 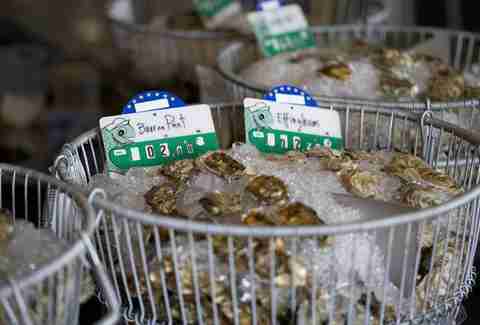 Limit two dozen per person. Seriously. This new-ish seafood spot in South Seattle serves up boldly flavored, Vietnamese-influenced dishes, but forget all that. 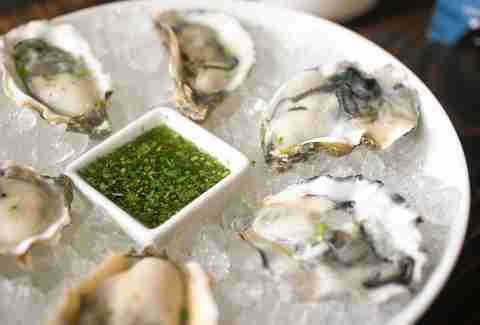 It also boasts two nightly happy hours -- one from 3-5pm and a late-night one -- where Minter Sweet oysters w/ cilantro lime mignonette are just a buck. 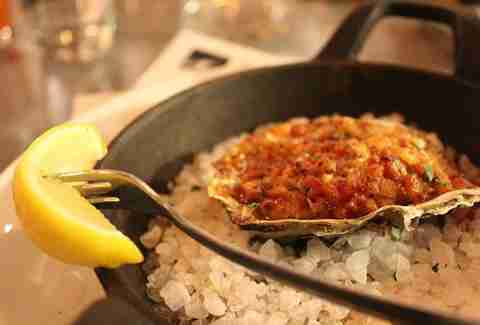 Perhaps better known for its occasional bacon happy hours, this upscale comfort food restaurant only serves foods sourced within 360 miles, so guess how far the $1 oysters w/ mignonette it serves every day from 3-6pm come from? This monument to non-mammalian proteins boasts one of the single best seafood lineups in a pretty seafood-obsessed city, which could come in handy, but only if you somehow miss its daily 3-6pm happy hour featuring Pacific oysters w/ pink peppercorn mignonette for $1.50. 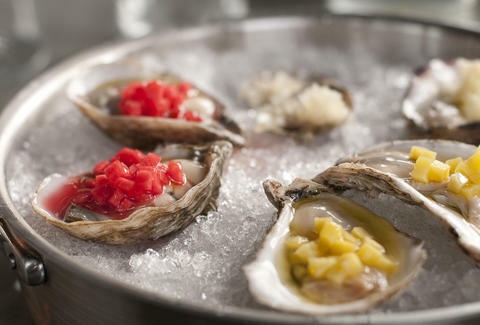 RC serves a selection of seriously next-level ocean-going eats that rotates depending on what's fresh and includes a take on a classic called Oyster Brock-A-Fella that usually goes for $13, but is just $5 during two daily happy hours from 4-6pm and 10pm-midnight. Bradley Foster is a former Thrillist editor who took his colleagues to several of the above-mentioned happy hours when they came to town, but only ate enough oysters to make himself sick one of those times.